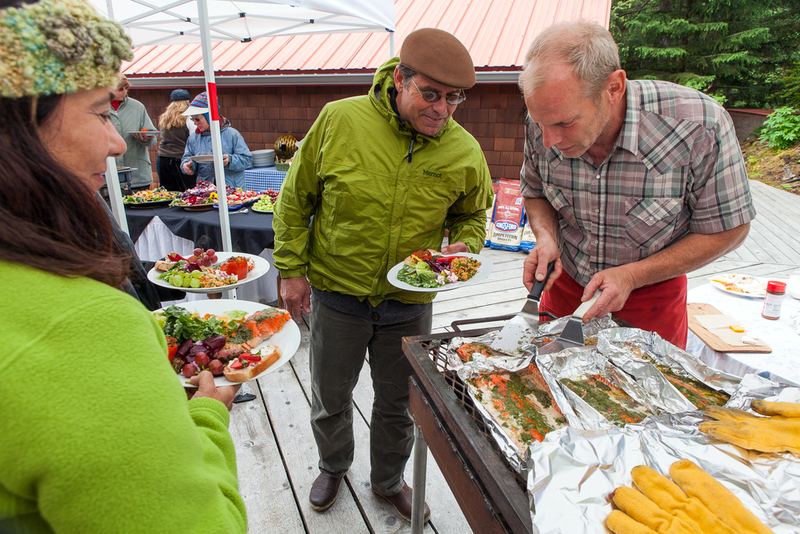 Quiet Place Lodge is a family owned wilderness retreat turned concert venue located six miles across the bay from the city of Homer in the beautiful artist community of Halibut Cove, Alaska. The lodge operates exclusively as a concert venue hosting Halibut Cove Live events in collaboration with Homer Foundation. Halibut Cove Live is a unique musical and dining experience that, from start to finish, exemplifies art amongst nature’s splendor. Patrons are picked up on the Homer Spit and taken on a beautiful, half hour boat ride across Kachemak Bay to Quiet Place Lodge in Halibut Cove. Upon arrival, guests are served a sumptuous seafood meal from a gourmet chef and can begin to soak in the scenery around them from their seats on the Lodge deck. Wildlife abounds in Halibut Cove with commonplace sightings of seals, sea otters and bald eagles, and with the keen observer spotting the occasional whale. Be sure to bring your cameras and binoculars! 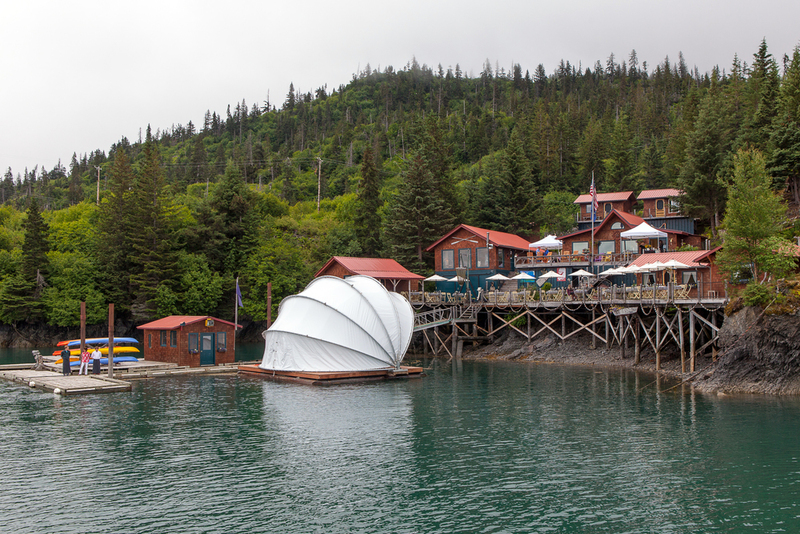 The musicians play from Alaska’s only floating stage, which is suspended out in the cove. The Lodge deck provides the perfect vantage point to enjoy the fabulous music, spend time with friends and savor the breathtaking surroundings. Visitors are encouraged to explore the grounds and the Lodge, which thrive with art and tranquility at every corner. Pauli & Harmon Hall have owned Quiet Place Lodge for twenty years. 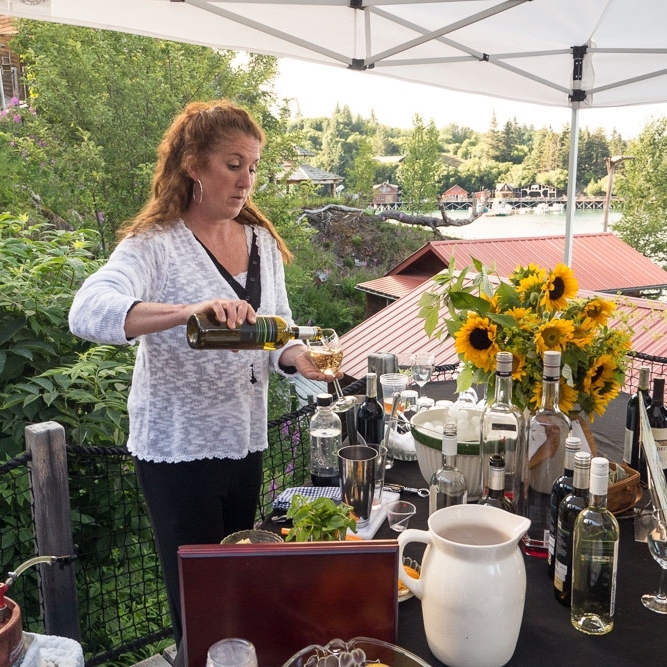 They’ve raised their family there and the guests who attend Halibut Cove Live events discover a place that feels as much like a warm and inviting home as it does a musical venue. The M/V Discovery is owned and operated by Alaska Coastal Marine. For your safety, it is Coast Guard inspected annually and is equipped with top-of-the-line lifesaving and navigation equipment. The M/V Discovery features self-inflating life rafts, emergency locator beacons, fixed firefighting systems, life jackets, heated cabins, restroom, and complete walk-around deck. If you have questions about Quiet Place Lodge, The Homer Foundation, or Halibut Cove Live events, please submit your info and we will get back to you.